I was never a huge fan of cauliflower pre-keto, although I could tolerate eating it alongside other veggies if it happened to be on my plate. Now though, I can easily go through a few heads of cauliflower each month! 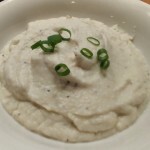 More than just being a vegetable side dish, it’s also a great low carb replacement for starch and carb filled sides like rice and, in this recipe, mashed potatoes. 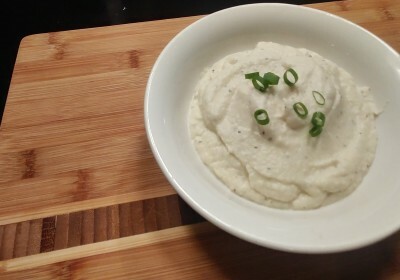 Contrary to the name “mashed cauliflower” for the best, most “traditional” texture, I would really recommend using a blender or food processor for your cauliflower rather than the type of masher you might use for potatoes. Using the recipe below, the result should be smooth and creamy. Add a little extra cream or butter if the consistency is thicker than you’d like, and if it’s too thin, a little extra parmesan or even a pinch of xantham gum should be enough. The key here is making sure to get the cauliflower tender enough that it blends well; it should hardly resist when pierced with a fork. Steam cauliflower via stovetop or microwave until cooked through (6-8 minutes) and tender when pierced with a fork. Drain any excess water and transfer cauliflower to a food processor or bullet-style blender. Add heavy cream, butter, and cream cheese. Blend until smooth. Add parmesan, salt, and pepper. Pulse until combined. I use a bullet-style blender for this recipe. The cup is microwave safe, so I can just steam the cauliflower in the microwave, add the remaining ingredients, and blend. Minimal cleanup! “Fresh” grated parm works great here, but I have to admit that I actually prefer the texture from the shelf-stable “dried” parmesan.